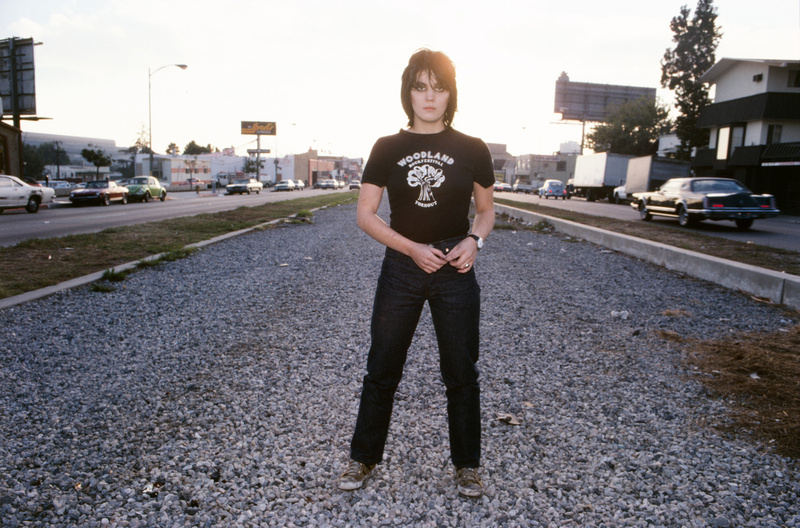 For some reason or another I aked Joan Jett to stand in the center of Santa Monica Blvd to pose for this photograph. You would not recconize the location today with all of the deveolpment. If you want to go and stand there, it is directly across the street from the old Tropicana Motel at 8585 Santa Monica Blvd. Watch the traffic as you cross the street!